Sign up for our newsletter below for exclusive discounts! Please purchase this listing in addition to what you have already purchased. 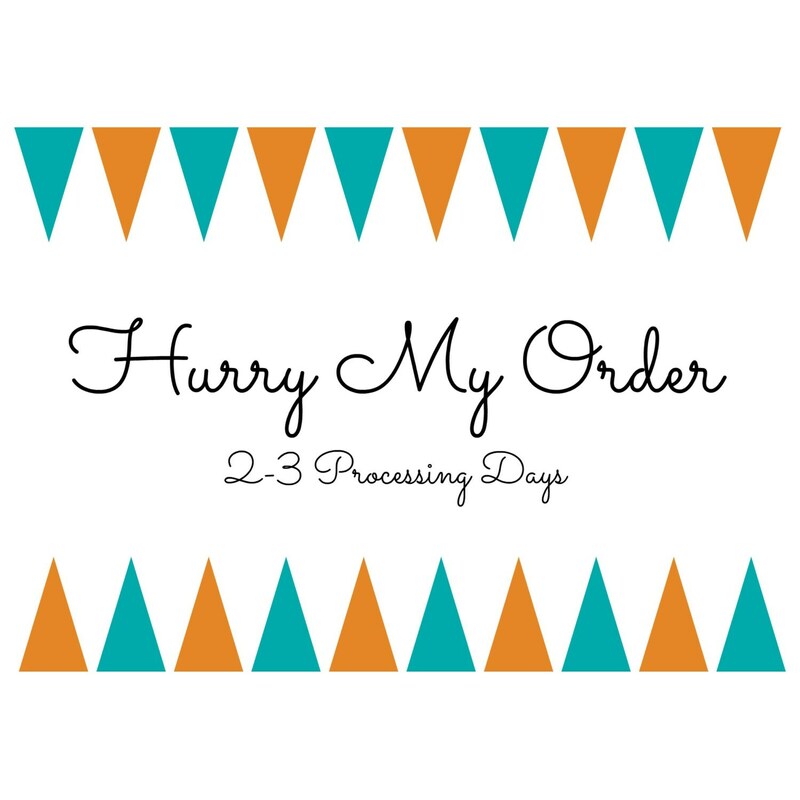 This listing is to expedite the processing of your items ordered to 2-3 business days. This does NOT include Priority Shipping. This listing should not be purchased is you are ordering more than three (3) items. In that case, please contact me prior to see if I can accommodate your request. ***All Expedited Orders are Subject to Change Depending on Product Availability. Sometimes I won't have appropriate supplies in stock, therefore would be unable to ship expedited. Although this is rare, I will contact you IMMEDIATELY if ever this does occur. The rush fee would then be refunded or your order could be cancelled, etc. Each listing contains a size chart. Wash on cold and lay flat to dry for best results. Please email us at twodreamsshop@gmail.com. We take on some custom and personalized work, but custom items cannot be returned or exchanged.